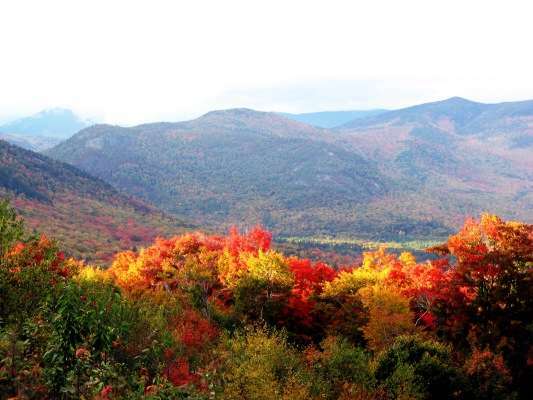 You could do worse than look at fall foliage along old military routes in New England. Some of them, originally Indian trails, pass through landscapes that aren’t all that different than they were in the 18th century. Some military routes were partially drowned by reservoirs, some paved over by interstate highways. Today the old military routes still pass by historic taverns and cemeteries. Stone markers describe the long-ago events that transpired among colonial militiamen, French cavalry, British redcoats, Continental regulars and all their camp followers. 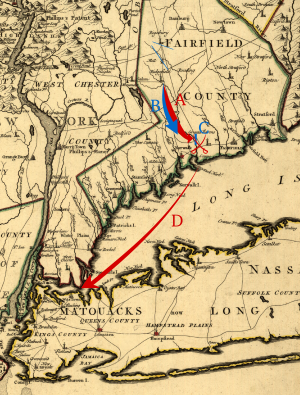 Here are six military routes used during the American Revolution. In some cases they pass through several states, but we confine our description to just one. On April 25, 1777, 26 ships carrying 2,000 British troops landed at Cedar Point in Westport, Conn. They were commanded by British New York Gov. William Tryon, who planned to destroy military supplies 20 miles north in Danbury. The British marched north on what is now Rte. 58, ravaging the land. They set fire to provisions in the streets on their way to the supply depot in Danbury. Along a stretch of South Street just beyond Coal Pit Hill Road they destroyed an enormous cache of supplies, including 5,000 shoes, 2,000 bushels of grain and 1,600 tents. When they found barrels of rum, they drank them. Gen. David Wooster and Benedict Arnold, who happened to be staying with family in New Haven, responded with 700 militiamen and Continental Army soldiers under their command. The British got wind the local militia was coming and retreated south from Danbury along Rte. 33, burning down houses along the way. Wooster was mortally wounded while attacking the British rearguard at the intersection of the Post Road (Route 1) and Patriots Bank. A small Masonic stone memorial marks the place where Wooster fell. It’s an evocative spot as the countryside and two-lane road haven’t changed all that much since the Redcoats marched through. The British retreated to Westport and never tried another inland raid again. They suffered many casualties, and their harsh treatment of the colonists sentiment against them. There are three monuments in Westport commemorating the final skirmishes. A boulder bears a plaque at the intersection of Compo Road South and Post Road East. Further down Compo Road, Westport’s Minuteman monument kneels atop a traffic circle. On Compo Beach, two cannons commemorate the fighting on and near the beach as the British returned to their ships. The Americans camped overnight in Putnam Memorial State Park to prevent another raid on Danbury; the park has several historic features. In Danbury there is a Sybil Ludington marker. Detail of 1795 map overlaid with Arnold's expedition route. A Cambridge; B Newburyport; C Fort Western; D Fort Halifax; E Great Carrying Place; F Height of Land; G Lake Megantic. Courtesy Boston Public Library. Benedict Arnold, before he decided to switch sides, led a force of 1,100 Continental Army regulars from Massachusetts to Quebec City in the early days of the American Revolution. 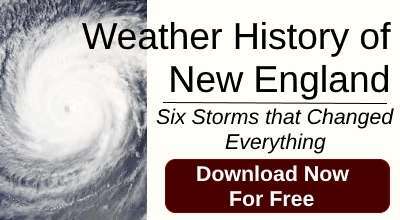 He hoped to bottle up the British and prevent an invasion of New England from the north. The Arnold Expedition was a disaster. Arnold’s men traveled 350 miles – twice as far as they planned -- through poorly charted wilderness in what is now Maine. The men endured grueling portages up the Kennebec River. The boats leaked, ruining precious gunpowder and food supplies. By the time Arnold reached the French settlements above the St. Lawrence River, he had only 600 starving men. The siege of Quebec failed. The expedition began inauspiciously when fog and headwinds delayed transport ships from leaving Newburyport, Mass., in the fall of 1775. They landed on Swan Island in what was once Perkins Township. They traveled through what are now Dresden and Pittston, where Arnold and his men stayed on property belonging to Maj. Reuben Colburn as bateaux were built for the expedition. The house now has a street address, 33 Arnold Rd., and is the headquarters of the Arnold Expedition Historical Society. 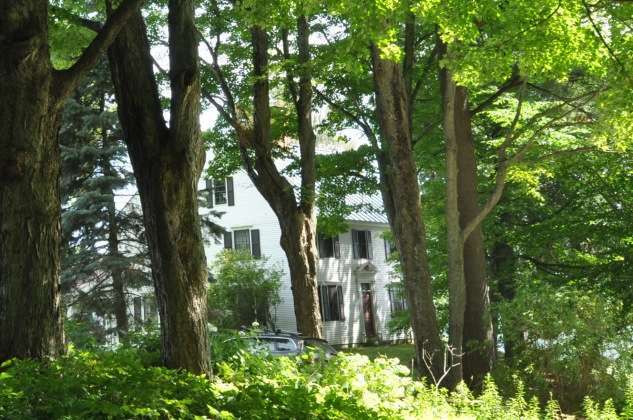 Some of Arnold’s men took bateaux up the Kennebec River, while others marched on to Fort Western, whose main house is now a National Historic Landmark in Augusta. Then on to Fort Halifax (now Winslow), where a blockhouse also survives as a National Historic Landmark. Parts of the route they took today – from Augusta to the Canadian border -- make up US 201, now a National Scenic Byway. Along the way they camped in what is now Solon on the left side of Route 201A at what is now the Evergreen Campground and Restaurant. Two markers in Skowhegan show where they marched: at the picnic area on Rte. 2 heading to Canaan and another on the island in town. Click here for a map of Arnold’s military route. On April 18, 1775, British Lieutenant Colonel Francis Smith and Major John Pitcairn led a force of 700 British soldiers from Boston to Concord, Mass. to seize weapons. Before the troops even left on their mission, at about 11 p.m., they already knew they had lost the element of surprise. Word was spreading that the British were coming. The soldiers would march through the night, before touching off the American Revolution at Lexington and Concord. It was on the Lexington Green that Col. John Parker assembled his 80 militia men on April 19, planning to be a protest force, not a fighting one. British troops decided not to pass quietly by, but entered the green to confront the militia. When a shot was touched off, chaos erupted and eight militia men were killed before they fled the field and the British passed on to Concord. The Lexington Historical Society maintains three unique sites that provided the setting for the Battle of Lexington. The Hancock-Clarke House is open to visitors. It was the home of the Rev. Jonas Clarke, who was hosting John Hancock and Samuel Adams when they were awakened by Paul Revere, warning them of the coming soldiers. The Buckman Tavern was the site where the local militia gathered in the early morning hours of April 19, 1775, to wait for the British troops. The Munroe Tavern is also preserved. This was where British troops stopped when making their return from the fighting. All the sites are open for visitors during the warm weather months. Visitors can also tour the Lexington Green, where the actual fighting broke out. Near the edge of the Green, visitors can walk the five-and-a-half mile battle road leading to the path to Concord that British soldiers took in 1775. The Battle Road is the centerpiece of Minuteman National Park, which includes 11 "witness houses" where occupants would have seen the troops passing by on their mission to search Concord. Also in the park is the North Bridge, where the shot heard round the world was fired. Also of note, beginning in 2016 Concord's First Parish Church in conjunction with the Concord Museum will be opening the Wright Tavern for occasional open houses and school visits. It was at this tavern where militiamen gathered before the fighting. It also served as the British headquarters while they search the town for munitions. As British troops returned to Cambridge, they were harassed by militia in Lexington, Lincoln and Arlington, then called Menotomy. The British soldiers ransacked much of the village of Menotomy, clearing the buildings of snipers. Jason Russell, a local man, was trying to escape to the safety of his house when soldiers bayonetted him. Following other militia members into Russell’s house, soldiers and militia engaged in a close range shootout, signs of which still remain in the historic building. The Arlington Historical Society maintains the house today and opens it during the summer for visitors. Col. John Stark and his colonial militia began work on the Crown Point Road in 1759 during the French and Indian War. They cut down trees and removed stumps, built bridges and causeways and corduroy sections along swampy sections. The road was ordered by Lord Jeffrey Amherst after the British captured Fort Ticonderoga. Amherst was determined to keep control of the southern end of Lake Champlain, so he commanded his troops to build Fort Crown Point (now a National Historic Site) at a narrows on the lake. He also ordered a road to be built from Crown Point to the Fort at Number 4, now an open air museum in Charlestown, N.H.
Colonial troops carried supplies, munitions, cattle and sheep along the Crown Point Road to support the British army at Crown Point during the French and Indian War. During the American Revolution, they brought supplies and reinforcements to Fort Ticonderoga. Between the wars, the Crown Point military route became a road by which people moved west to settle Vermont. Better roads were built, and Crown Point fell into disuse. Starting in the 19th century, the route was commemorated with markers. (Click here for a map of the markers.) At the road’s beginning in New Hampshire, a stone tablet a half-mile north of the Cheshire Bridge over the Connecticut River marks the site of the ferry and block house. Some sections of the road are marked and can be followed as trails, while other sections are barely discernible paths through the woods, marked only by the lilac-fringed cellar holes and stone walls of abandoned farms. A few short stretches of the old military road are still in use as town roads. Part of the old road is an eight-mile hiking trail marked with blaze orange paint from Fort Number 4 to the North Springfield Lake Flood Control Reservoir. Hikers can walk along pastures, orchards and old logging roads through thick forest, sometimes treading on logs used for corduroy sections. For a guide to that section of the road, click here. The entire, nearly 100-mile route starts in the center of Charlestown and crosses the river near Beaver Brook. It then goes north-northwest to Springfield and Weathersfield and turns west across Cavendish. The old military route bends north again in Cavendish, then turns west between Plymouth and Ludlow toward Shrewsbury. At Otter Creek in Clarendon it turns north again through Rutland, Proctor, and Pittsford, then bears northwest across the hills south of Brandon. In northern Sudbury, a spur heads west toward Fort Ticonderoga, while the main road goes north through Whiting, Shoreham, and Bridport before reaching Lake Champlain opposite Fort Crown Point in Addison. 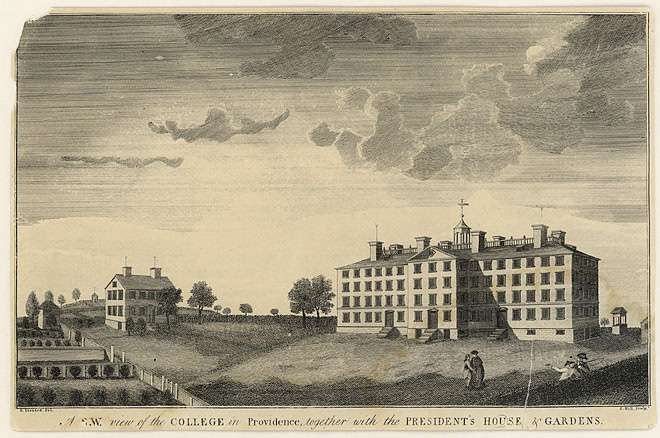 An engraving of the President's House, which lies along one of the military routes used by Rochambeau. In 1780, Gen. Jean-Baptiste Donatien de Vimeur, Comte de Rochambeau was put in charge of the Expédition Particulière, French land forces sent to America to support the Continental Army under Washington. Rochambeau arrived in Newport, R.I., in July 1780 with seven ships of the line, four frigates and 30-odd transports with nearly 7,000 French regulars. Then he sat for the next year. Finally, in May 1781, Rochambeau met with Washington in Wethersfield, Conn., to map out the plan for the war. Rochambeau and his army finally left Newport for Yorktown, Va., on June 19, 1781. Today, the Washington Rochambeau National Historic Trail runs over 680 miles of land and water from Massachusetts to Washington, D.C. In Rhode Island, the trail begins at the campground in Newport between Broad and Plane streets. It then heads north through Middletown, Portsmouth, Bristol and Providence, then west through Coventry to Connecticut. One regiment was left in Providence to guard the baggage and munitions stored in the Old Market House and to support the surgeons and attendants at the hospital in University Hall. University Hall now houses the office of the president of Brown University. The trail passes the Joy Homestead in Cranston, where on June 18, 1781 Job Joy and his family watched Rochambeau lead his army down the road. The route between Providence and Coventry generally followed Broadway in Providence to Olneyville, then Rte. 14 to the Scituate Reservoir. The reservoir submerged the original road but picks up as Old Plainfield Pike in Scituate. West of Rte. 102 in Foster, the march follows Rte. 14 into Coventry. There the army camped outside of Waterman's Tavern, now on the National Register of Historic Places at 283 Maple Valley Ave. The next day Rochambeau's army marched from Coventry, through Sterling, Connecticut via Route 14A (Plainfield Pike) to the third camp in Plainfield opposite Plainfield Cemetery, arriving on June 19. A 3.6-mile portion of the march route that winds between the second and third camps is listed on the National Register of Historic Places. For a map of the Rhode Island portion of the trail, click here. In Vermont’s Northeast Kingdom, the Bayley Hazen Military Road runs 80 miles from Newbury, Vt., to Hazen's Notch near the U.S.-Canada border. During Benedict Arnold’s difficult expedition to Quebec, some revolutionary leaders pressed George Washington for a new, shorter military road to bring supplies and reinforcements to the army. Two proponents of the road were Joseph Bayley and Col. Moses Hazen, among the founders of Newbury and Haverhill, N.H., across the Connecticut River. In the spring of 1776, Washington asked a local landowner to blaze a trail to St. John’s near Montreal. Jacob Bayley and 60 men built about six miles from Newbury to Peacham until the summer of 1776. Worked stopped and then started again in 1779. Hazen, Col. Timothy Bedel and their regiments built the rest of the military rout, extending it to Cabot, Walden, Hardwick, Greensboro, Craftsbury, Albany and Lowell. When the road approached Hazen’s Notch, the Continentals heard a rumor that the British planned to attack. They stopped work. The Americans never used the road to invade Quebec. The British did use it to raid the colonists. 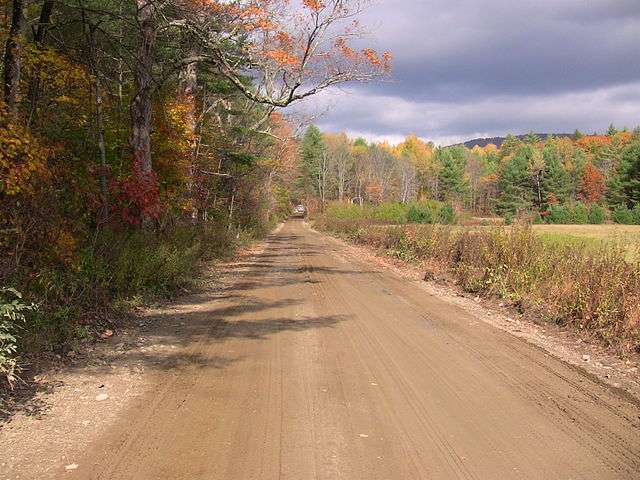 The 80-mile road from Newbury, Vt., is a mix of paved and unpaved – mostly unpaved – former military routes dotted with historical markers, grave sites and monuments. By Caspian Lake, a monument marks the spot where Indians killed Constant Bliss and Moses Sleeper: The Elkins Tavern in Peacham. For a guide to the Bayley-Hazen Military Road, click here. This story about Revolutionary military routes was updated in 2018. Regarding the article: “Six Military Routes Used During the American Revolution” there is an error in it. It should be “General David Wooster,” not Daniel! You’re right! Thanks for catching the error. We’ll fix it.